If you are new to the world of managing files, don’t worry. We can help. PDF Compressor is the best and simple tool designed to help you manage your files. The smart tool is fast, free and easy to use. With the help of this compressor, you can compress your PDF files anytime anywhere. It means you can manage lots of data without any worry. The tool reduces the files in size and helps you save space on your system. So if you still have to found such a fantastic tool, it is time to explore it now! Quality is the most important concern when it comes to compression. Many tools to help you compress PDF files but they fail to give the quality. That is where the PDF Compressor can prove to be handy. This brilliant tool allows you to compress your PDF files without affecting the quality. It means you can enjoy great compression and quality at the same time. One of the best things about PDF Compressor is that it is easy to use. You don’t need a guide to find out how to use it. Once you try it you will know how to go about it. It also does not require any registration or other formalities. So you can get started instantly. 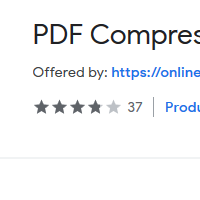 PDF Compressor is a free tool. So you don’t have to invest in getting paid software to compress and manage your PDF files. So you can save lots of money. Since the tool is very powerful, it helps you compress files very fast. So other than saving money you save time too. With this and much more, PDF Compressor is the best tool around that helps you compress your files with least effort. So download it and never worry about managing your PDF files again!